Treasure Island Perfection! South Puget Sound waterfront home/get-away. The beach lifestyle at it's very best! 60 feet of pebble beach for the ultimate in boating, water sports, clamming, fishing. Home features water views from most every room. 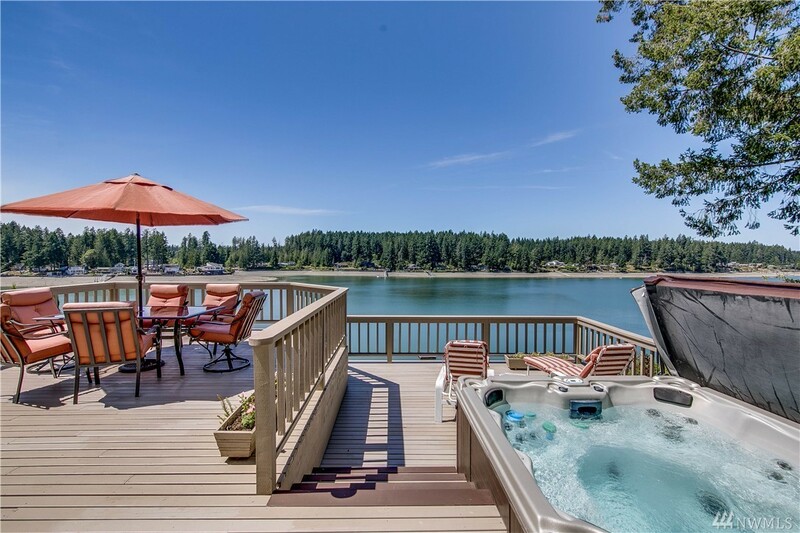 Living room, kitchen, family room all have direct access to spacious deck (& hot tub) overlooking the water. Master includes fireplace, attached bath, walk in closet. Two more bedrooms + two baths provide plenty of room for summertime fun. Make it yours!